Newlin (Jockey Club registered name: Go Giant Bry Go) started his second career last summer and has competed successfully through CCI* level, with an adult amateur. Dressage scores have been continuously improving with training, bold over fences. Newlin is a proper cross country machine. Has a great mind and is always willing to please, very easy to deal with on the ground with sweet mannerisms. Will easily take a young rider to a one star and has the ability to go further. 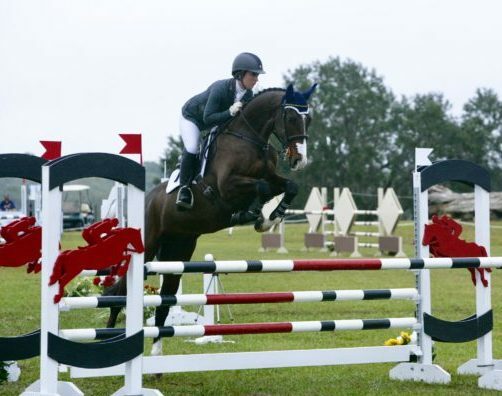 Finished his first CCI1* at Ocala Jockey Club adding just one time fault in show jumping to his dressage score.If you are looking for a nice young horse that already has some upper level mileage, Newb is your horse.